Enjoy your last Christmas goodies! Cal is handing out the last festive gifts and rewards! The Christmas bash at Casino Calzone is in its final stretch and Cal is getting even more generous the closer we are getting to Christmas Day. He has put up a daily calendar with all sorts of goodies we casino players love to get our hands one during the festive period. Log-in every day to find out what Cal has prepared for you. 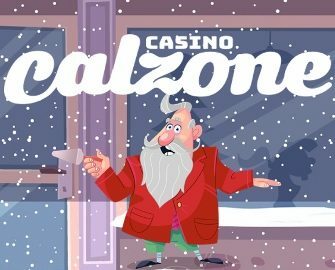 Deposit minimum €50 in a single amount to instantly receive 15 mega spins on Secrets of Christmas. Offer can be claimed one time only. Spins need to be played before midnight. Winnings have a wagering condition of 35x within seve days and have a maximum withdrawal capped at €1,000 per batch of spins. 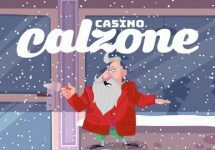 Deposit minimum €50 in a single amount to instantly receive 100 bonus spins on Secrets of Christmas. Offer can be claimed one time only. Spins need to be played before midnight. Winnings have a wagering condition of 35x within seve days and have a maximum withdrawal capped at €1,000 per batch of spins. Launched in 2017, the casino is operated by MT SecureTrade Ltd. under MGA Malta and UKGC licenses. On offer are a large variety of games on desktop, mobile and tablet from Netent, Big Time Gaming, Blueprint Gaming, ELK Studios, igaming2go, JustForTheWin, Lightning Box, Microgaming, NextGen Gaming, NYX Interactive, Play’n GO, Pragmatic Play, Quickspin, Scientific Games, Thunderkick and Yggdrasil. The Live Casino tables are powered by Netent Live and Evolution Gaming.